Most of us make at least one weekly pilgrimage across Island, which generally means passing through the heart of the Island, by the airport. 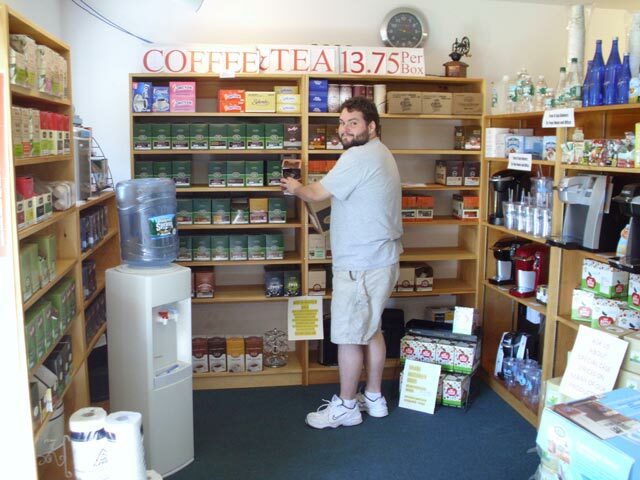 What many of us do not do is remember to make a visit to the varied collection of businesses at the Airport Business Park, off Barnes Road, before the intersection of Barnes Road and the Edgartown/West Tisbury Road. If you don’t know what you have been missing, I’ll enlighten you. For starters, the Airport Mobil Station right on the entrance corner has the Island’s only drive-up Quick Lube Station and drive-through Car Wash, complete with several car interior vacuum stations. The Quick Lube’s oil changes start at $59.95 for most cars, including five qts. of oil, an oil filter, a grease and lube and refill of all fluids. The Mobil Quick Lube is open Monday through Saturday, from 8:30 am to 4:30 pm and works on a first-come, first-served basis. While you are waiting for your car, you can step inside the Mobil Station’s store for a fresh-brewed cup of coffee, a cold drink, or a yummy snack. Just across the street from Airport Mobil is Cars Unlimited, a state of the art auto repair shop, with some used cars for sale too. Along with the full list of services you would expect to find, Cars Unlimited is also a Massachusetts State Inspection Station that offers a Courtesy Shuttle. To find out more about what they offer and to make an appointment, call 508-693-6544. Further down, at 10 North Line Road you’ll find Vineyard Bottled Waters, well known for their large selection of Poland Spring Waters, which can be delivered with or without one of their coolers. They have rental or sale options available, and they also carry a large selection of Keurig Brewers and coffee, tea, and hot chocolate K-Cups for brewers. You can pop in to buy whole cases or mix and match your selections. In their retail shop, you can see and buy their selections of brewers, coolers, and even their full line of Deirdre Imus’s Greening the Cleaning products. If you are crunched for time, Vineyard Bottled Waters will deliver your orders to your house or business. For more information, call 508-693-8700, stop by, or visit them on the web at vineyardbottledwaters.com. Some other great retail/rental options in the business park include Supply New England, Big Sky Tent & Party Rental, and Vineyard Tile Company, all found on East Line Road. Supply New England, which is a plumbing and heating supplies store, also has a complete kitchen and bath gallery to make your shopping easier. Supply New England can be reached at 508-693-6792. Across the street, you can visit with Jeremy and Annie Bradshaw’s Martha’s Vineyard Tile Company, at the showroom they opened more than eight years ago. Pick your favorite tile or perhaps a stone or solid surface for your new kitchen or bathroom. They will also help you design your project, install it if needed, or help you figure out how you can do it yourself. Reach them at 508-693-9707 or on the web at mvtileco.com. Big Sky has a colorful showroom filled with many of their rental selections for your next party or event. They have everything from china, glass, and silverware, to tables, chairs, and linens, and don’t forget the tents. You can rent just one rack of glasses or everything you need to throw a successful dinner party for 2012. Visit in person, on the web at bigskytent.com, or call 508-693-2237. Finally, if you find yourself in need a little extra storage space, Airport Mini Storage can help. For availability and rates, call 508-693-4084. Keep in mind that these are just a few of many businesses at the Airport Business Park. Most are businesses that you may use on a regular basis, for instance, pool sales, service, and supplies; LP gas companies; builders; electricians; plumbers; delivery services; and bulk beverage sales. Take a shopping trip through the Airport Business Park. You’ll be surprised and delighted at what you’ll find.